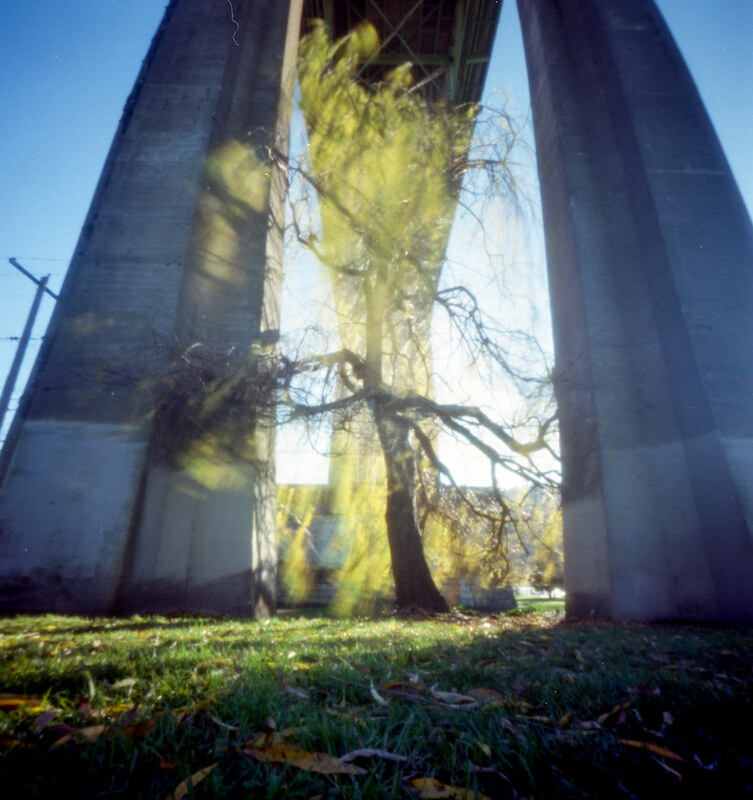 Over Christmas I decided to take long-neglected Zero 2000 (pinhole camera) out for a spin. I finally scanned the negatives this past week. This was the last shot on the roll. I used the shot up at Cathedral Park in Portland on my way to dropping the film off at Blue Moon Camera And Machine. Scanning these photos has reignited my desire for pinhole photography. Of course that desire is always there, hiding under the surface, but looking at these makes me want to go out and do it again. Also: I really love color pinhole so very very much. I took another shot of this with my Olympus XA and Lomography Purple film that I will share next week. Very interesting results with that film!